Helping people find real work at home job and business opportunities on the web. Maybe you are a stay at home mom who's looking for a little extra income. Perhaps you are looking for full time work but with the flexibility that working from home will afford you. Here at FindingWorkatHomeJobs.com, we are in the business of helping people find work. There's so much info out there on working from home. It may be hard to know where to start! I've been working from home for over a decade now and love the flexibility it offers me and my family. If you've been looking for work at home opportunities, you've come to the right place. I've seen the work at home landscape change right before my very eyes over the last 12 years and there have been hundreds, if not thousands of sites with work at home info. It can be a little overwhelming! So, if you don't have the time to wade through hundreds of websites to find the perfect work at home opportunity, just keep your eye on this site. In fact, did you know I post ALL the newest work at home job leads on this page right here? Check it out! Or better yet, simply subscribe to my weekly newsletter, that will give you all the newest job leads for the week straight to your inbox; it's free and should give you some great leads to apply to. My goal is to save you time as you search for your perfect work at home job. Find out which companies will pay $25-$50 an hour for resume writers. Find out which companies are on a hiring spree for home-based teachers. Just in time for summer. Teletech is offering work at home positions in Insurance and Banking. Talk to happy people who are making their camping reservations, oh, and get a free computer from the company to boot. I try not to gush about this company but I can't help it. Great perks, great job great company. See more via the link above. If you're looking for a few ideas for the perfect Side Hustle in 2018, don't look at this list. Just kidding. I want you to make money. Check out the list. Don't have the equipment needed to start working from home right now? Check out these 3 jobs that only require you to have a smartphone, no other equipment needed. Interested in tutoring but don't have a degree? What types of jobs can you do from home? There are many different varieties of home based work all over the world. Many are legitimate, others... not so much. The problem is how to distinguish the legitimate opportunities from the scams and how to find out whether you will be making enough money to make ends meet or whether it will be a big waste of your time. Explore some of the work at home niches below. They range from call center work to work at home nursing, transcription work, home-based jobs for teachers... and the list goes on and on. I will do my best to give you a description of the job itself, the requirements and pay and, for what it's worth, my take on whether it's something that might be worth your time and energy... or not. Being a work at home mom myself for the past twelve years, I have just about seen and heard it all when it comes to home-based jobs. Finding work at home jobs! 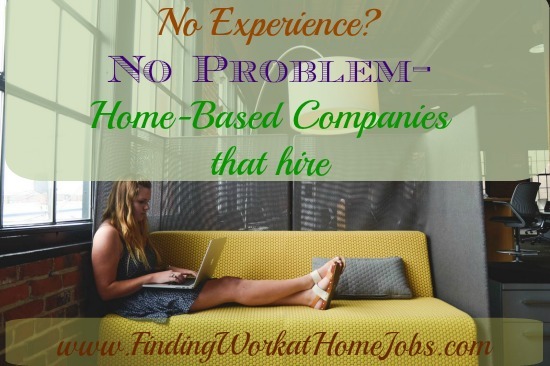 If you would like to see the home-based jobs that are hot off the press, be sure to stop by my Work at Home Jobs Blog page. 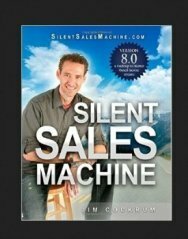 Virtual Job Leads, a list of free e-books and occasionally some pretty great coupons are posted there. If you're based outside of the U.S. and think there aren't any jobs available for you, think again. 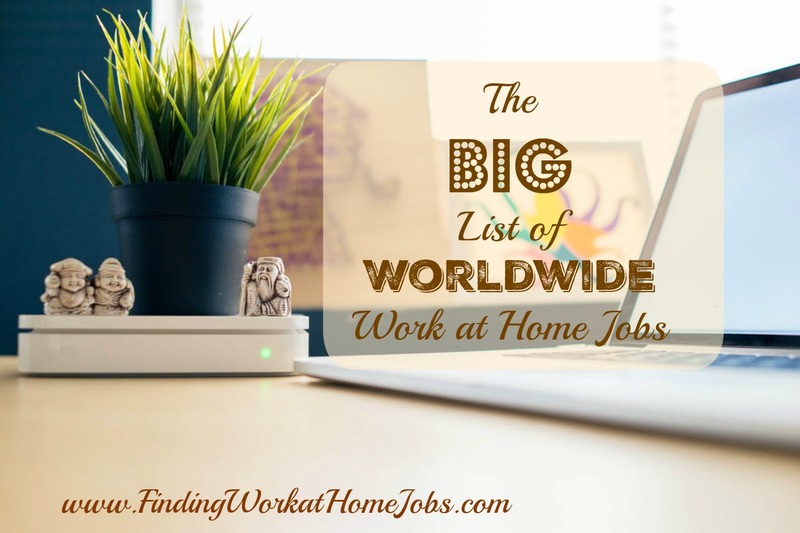 There are many opportunities available worldwide for those who are looking to work from home and my BIG list of Worldwide work at home opportunities will get you headed in the right direction. Click here to see Worldwide Work at home Opportunities. When you're first starting out in the work at home world, you may not have much experience under your belt. However, to get looked at by companies that offer you good money, you will need to get that experience somehow. That's where these jobs come in. I consider them stepping stones to where you want to get to. They help you get your foot in the door, help you get another reference on your resume, and more money in your pocketbook. Click here to see a list of 10 websites to get you started. Home-based call center work involves taking incoming calls (either sales based calls or customer service calls) from your own home office. Many of these jobs are flexible, paying anywhere from $8-$30 an hour based on experience. Many of these companies hire virtual workers as independent contractors ( which basically means you are self employed and responsible for setting aside your own taxes) however, there are some who do hire representatives to work as employees. You will find that all companies require a quiet working space, a reliable PC with high speed internet access and a corded phone and phone headset. Find a list of at home companies that hire call center representatives here. Side Hustles are exciting, fun, rewarding and yes, they can make you a little or a LOT of extra money. The dream for many of us is that our side hustle will replace our brick and mortar 40 hour ball and chain. 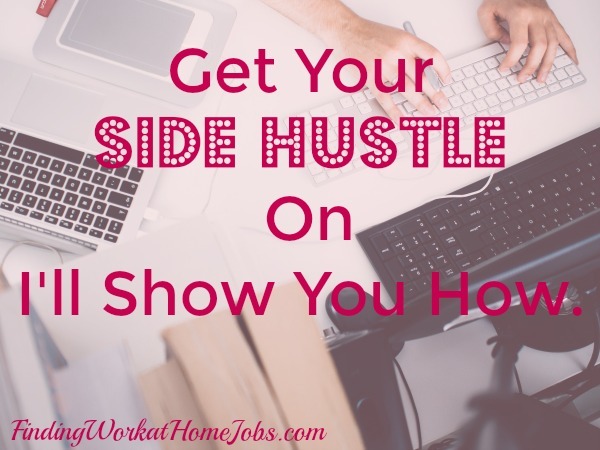 If you've been considering looking into a side business or perhaps just a new way to bring in some extra money, check out this list of Side Hustles that may surprise and delight you. There are many stay at home moms and dads, not to mention those who are retired, who have a background in education. There is quite a need for professionals who have a background in education to work at home as tutors. Some companies require little experience ( though they may require that you have a degree or are currently obtaining your degree) and other companies are looking for highly educated professionals who can teach specific subject matter. The question is whether this type of home based work pays well enough for a professional to make a secondary income from home. Work at home as a tutor, find companies that are hiring. If you can type very quickly and accurately, if you have a good ear for different accents and dialects and enjoy working from the comfort of home, you may be interested in work at home jobs in the area of transcription. It is said that there are opportunities for many, whether you are an entry level transcriber or you have experience in specialized transcription such as legal or medical transcription, but is that really the case? Check out my list of legitimate virtual transcription companies here. While working as a courthouse researcher may not officially be classified as a "work at home" opportunity, it can allow for a very flexible schedule, since theoretically you can choose the hours you wish to work (but within the regular courthouse hours of 9-5 Monday-Friday). Most companies do not have an hourly requirement that you must fulfill, instead, the job mostly involves getting a set number of records documented (and it is to your benefit that you get them recorded as quickly as possible for a better paycheck). Pay varies from minimum wage to upwards of $15 + per hour, again, depending on how fast you type. Sounds good but how easy is it to find work with these companies or is this niche already saturated with courthouse researchers? Find out more about courthouse research here. Please click here to find out more info about Proofreading Jobs at Home. Did you know that there is even a work at home niche available for nurses? There are companies who hire nurses to work in what is called "telephonic triage" whether for private clinics, doctor's offices or other companies. McKesson is one such company and United Health Group is another. As well, there are many other companies that are on the hunt for highly skilled and experienced nurses to work in managerial areas such as clinical case management. However, what are the requirements, how much experience do you need to have and how much do these types of jobs pay? I know, I know this is a WORK AT HOME site but I couldn't resist adding some info on hospitals hiring nurses to work outside the home here. It would have never crossed my mind before I worked from home how many jobs can be done from home. While not all jobs are suited for virtual work, there are some that fit in the virtual world quite nicely. Take for example, the work that an accountant performs. Is it typically performed in an office setting? Yes.... but... as long as the appropriate equipment is available in your home, can this be a viable work at home opportunity? There are job boards out there that are simply teeming with available home-based work for people with the right qualifications. So where can you find these job boards? 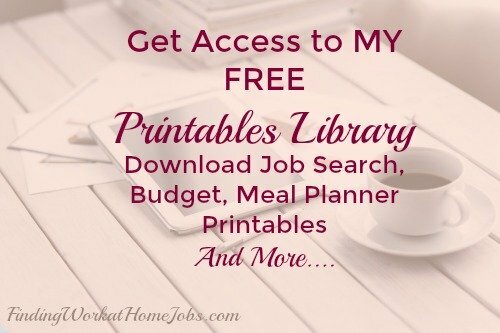 Find a list of the free job boards here. Maybe you don't want to spend a whole lot of time searching the free job boards for the perfect project but you would still like to make a little extra money on the side... no problem. I always thought Mystery Shopping was one big scam. Then I saw that my local community college was offering a Mystery Shopping course and I just had to check it out. Yes, I admit it, online surveys are low paying and perhaps not worth anyone's time . But there are some companies that are legitimate and I show you which ones are legitimate here. For those of you who are interested in working from home in customer service but would prefer not to do it over the phone I get it, I really do. There are a lot of great benefits to not having to be on the phone while working. #1 is the fact that you don't have to worry about your children.. being children. Background noise is no problem with a non-phone based job. Check out these jobs in the area of chat . I have many stay at home moms and dads reach out to me for some low cost startup home-based business ideas. Find out where I get my home-based job leads. I know, I'm spilling all my best secrets here. So, grab a cup of coffee or your favorite cup of tea and have a look around there's lots of information to discover and you'll want to know as much as you can to save you time and to be able to find the perfect home based work opportunity for you. Speaking of which, this website is a work in progress so make sure to check back in from time to time for all the newest updates! Wondering how best to navigate through this site? First, take a look at the top right of the page, where it says "search this site". Please type in any search phrase you wish and if it is on my site, you will be directed to the page on this site that has the information you are looking for. To see the newest updates, look to the top left of the website navigation bar for the "Home Jobs Blog" tab, click on that and you will see the newest pages added to this site. Below that, within the navigation bar, you will see tabs that will lead you to pages that contain more information on specific work at home companies. You will find background information on each company as well as details such as employee requirements and the pay scale. Be sure to navigate to the site map tab where all of the pages I have written on this site are listed. I am a mom who happens to work from home for one of the companies listed on this site (and I love it by the way!). 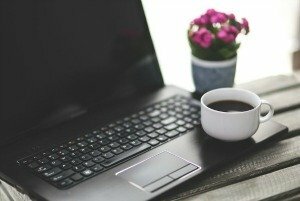 After my years of research into finding the perfect work at home job for me (and many friends asking me to direct them to the legitimate work at home companies out there) I decided to put together a simple and easy list of legitimate work at home opportunities and post it in one easy location. For more, stop by my "about me" page. Simply click here. My hope is to save you a lot of time and even money by directing you to real companies hiring people like you and me.